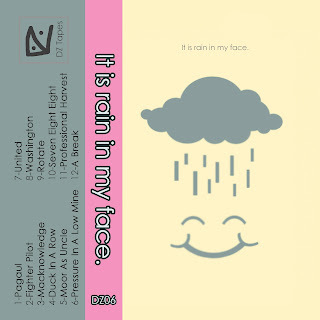 DZ TAPES: It Is Rain In My Face. 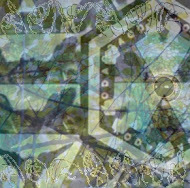 I'm proud to announce the next tape coming out in August, featuring the budding electro-blues funneled from a Brooklyn bonfire, Mat Jones presents 12 new tracks from the new self-titled release from It Is Rain In My Face. The glamorous group over at Decoder Magazine were kind enough to premiere the first single off the upcoming album entitled "Duck In A Row". To kick off the cassette release, It Is Rain In My Face. will be playing a secret basement show with Pressed And and Romantic States on August 17 at the Dougout in Washington, DC. Lastly, the free cassette giveaway is still going on. Simply our Facebook page then post your 2012 album-of-the-year to be automatically signed up for a chance to win a tape prize package containing stickers, buttons, and copies of each of our first four releases.